You might have thought that Facebook subscribers would be deleting the app in droves following the Cambridge Analytica scandal. After all, at least 87 million members had their personal information used without permission. But since the news about the scandal first broke, Facebook has since found religion. The social network instituted some new rules, and suspended over 200 apps. All of the things that Facebook is doing in order to keep members feeling that their personal information is safe and secure must be working. According to global securities house Goldman Sachs (based on data compiled by research firm ComScore), last month, in the midst of the scandal, Facebook saw a 7% gain in the number of unique U.S. mobile users to 188.6 million. 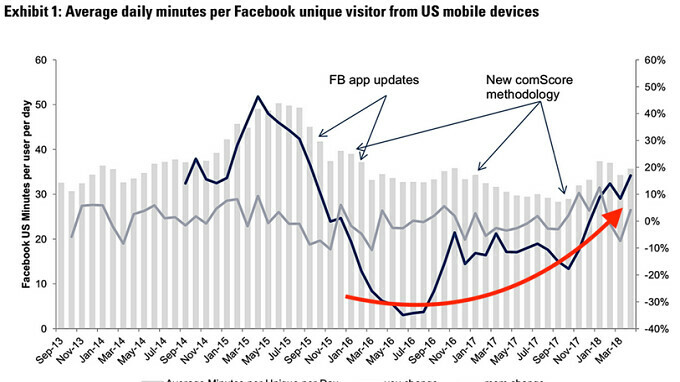 In addition, the time spent on Facebook each day by these stateside mobile users also rose (see the chart at the top of this story). 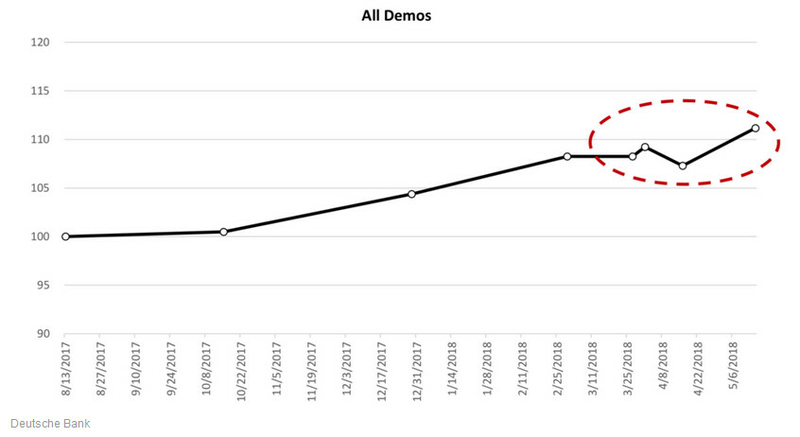 Ad targeting is also trending higher since the scandal broke, indicating that the removal of 583 million fake accounts by Facebook didn't lower the reach of ads that companies pay for. Actually, ads on Facebook are reaching more people than before news of the scandal hit the media. In other words, the removal of these accounts will have no negative affect on Facebook's top line. These accounts were allegedly involved in Russia's plan to influence U.S. voters during the 2016 presidential election. Shares of Facebook have also been resilient. From a price of $185.09 on March 18th, the day before the scandal broke, the stock traded as low as $149.02 on March 26th before closing Friday at $182.68. This means that Facebook's valuation has declined by only 1.3% during the worst period of publicity that the company has ever faced. Facebook and United Airlines seem to have a lot in common. Yes.. they are both businesses.. I agree with you.They are both businesses.